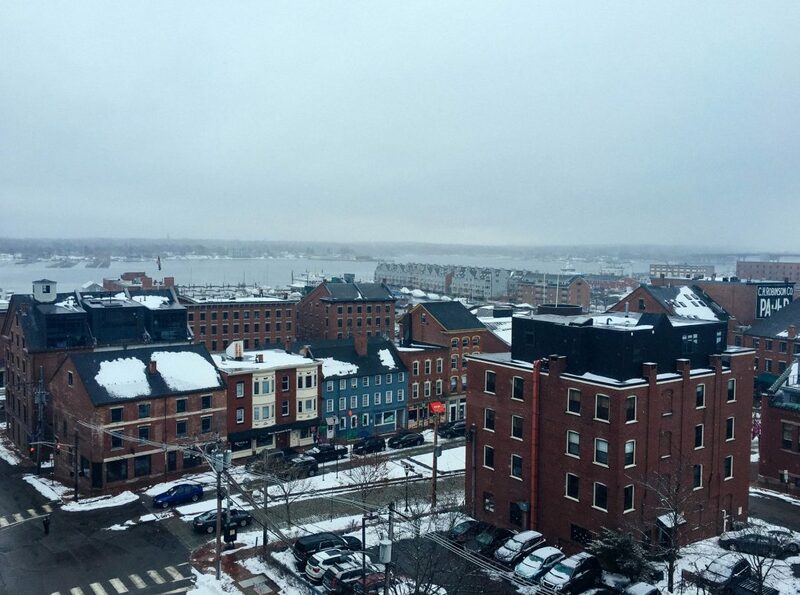 Portland, Maine is a special place. It’s a small town with a very big culture. They’ve had a huge influx of amazing restaurants, shops, and hotels over the past 15 years, and I have to say, I think it’s one of the coolest cities in the US. 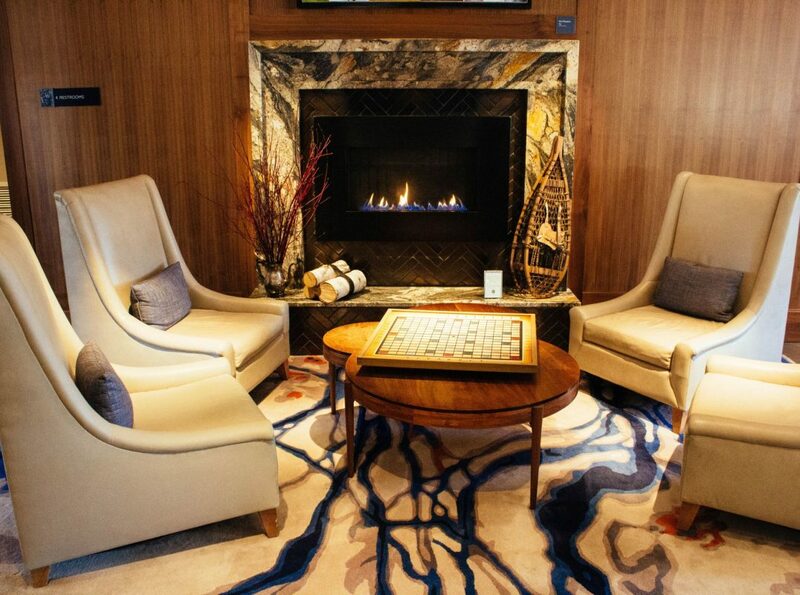 One of the hippest spots in town is The Press Hotel. 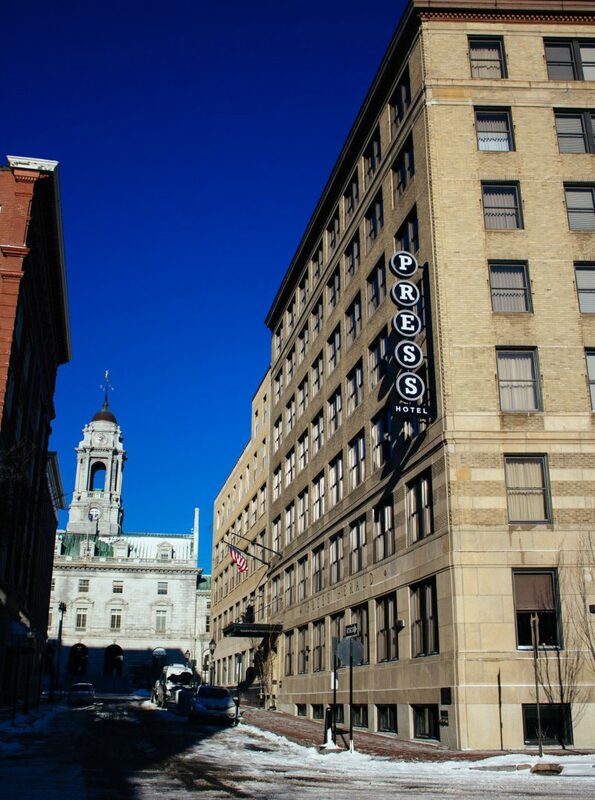 Part of the Autograph Collection, The Press is located in the former home of the Portland Press Herald, Maine’s largest newspaper. 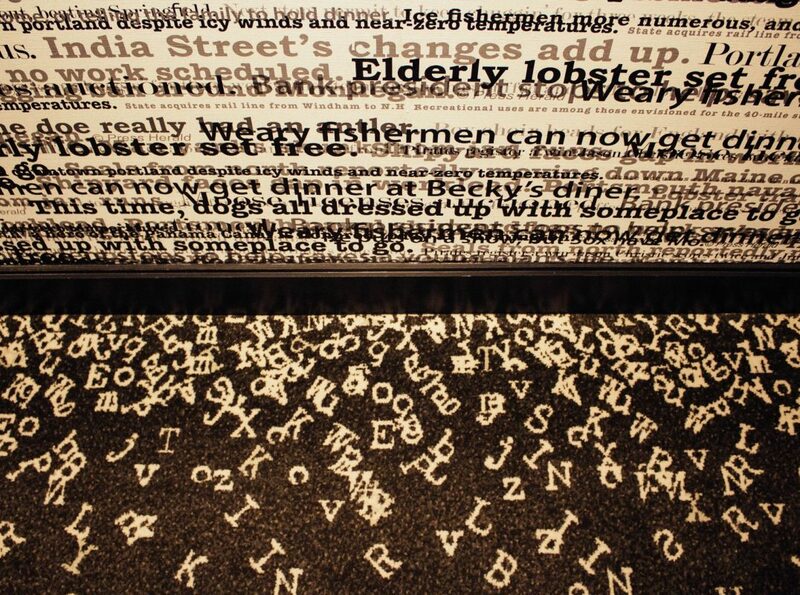 The character and history of the newspaper are woven throughout the hotel. 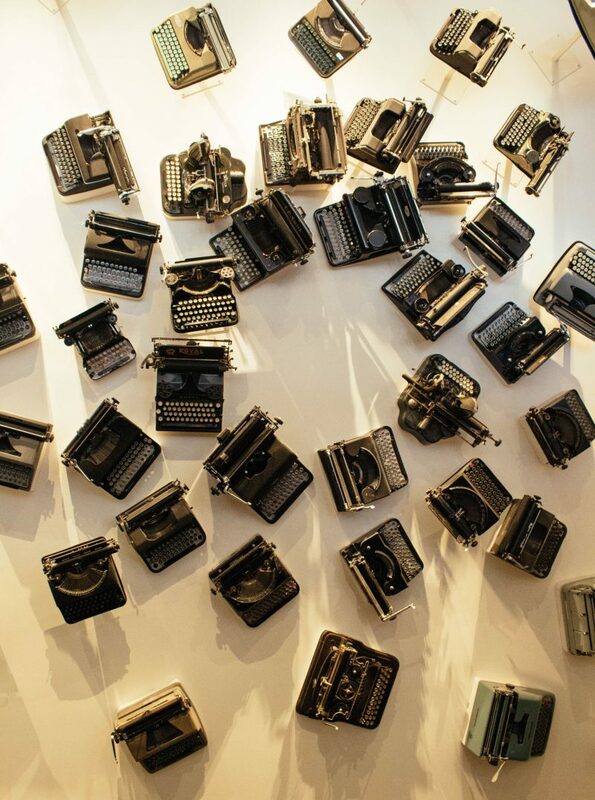 From antique typewriters to old newspaper tabletops to vintage letterpress movable type. 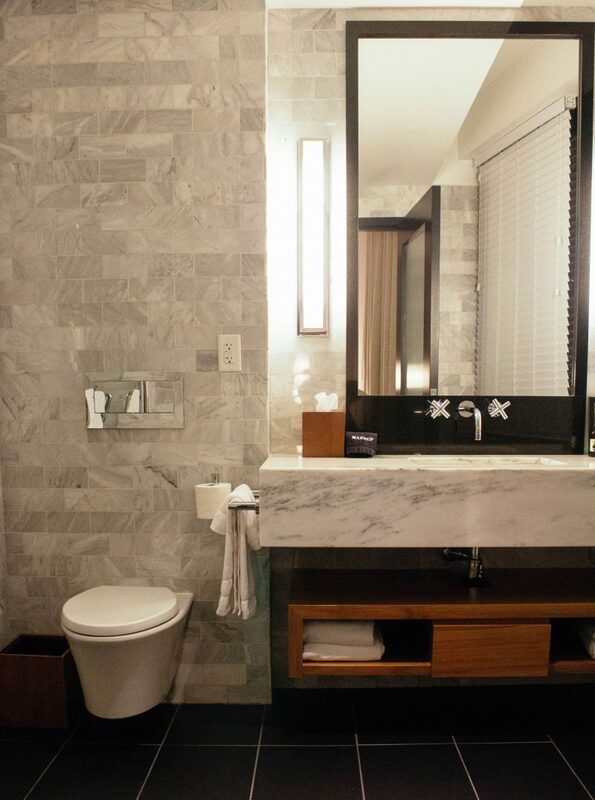 No detail is overlooked and you notice it immediately upon entry. 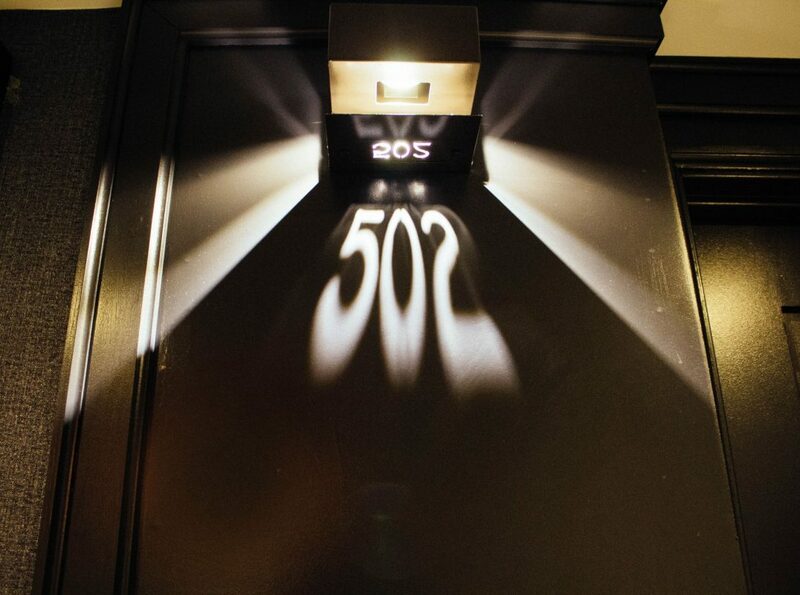 As you check in, make sure you look beyond the friendliest front desk team ever. (Seriously, everyone is SO nice at The Press.) 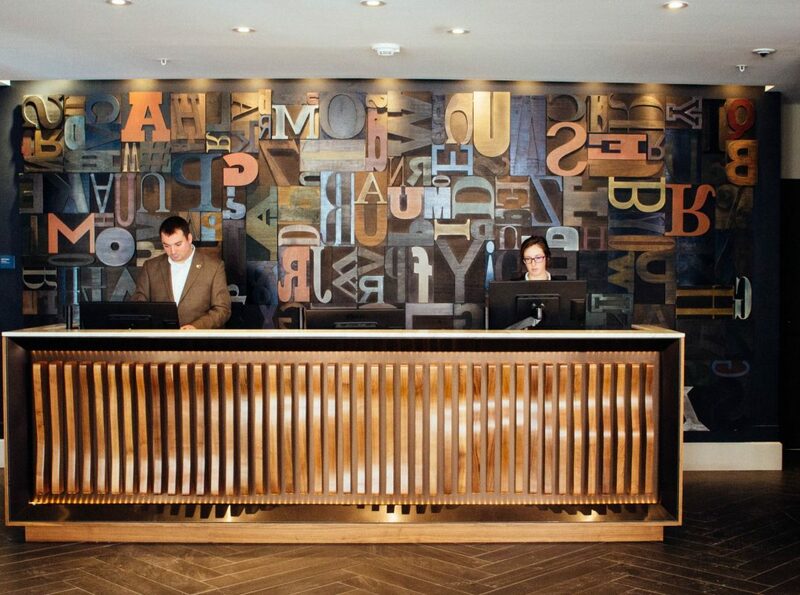 The wall behind check-in is covered in letterpress movable type. Nice touch, design team. 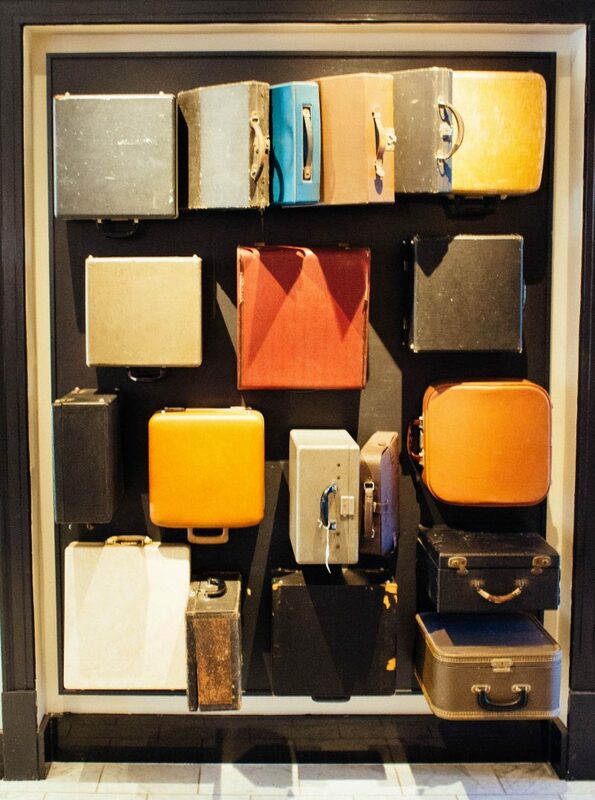 As you head to your room, you’ll notice a wall of vintage typewriter cases. I mean, so cool. The details don’t stop there. Once you reach your floor, take a look at the carpet and wallpaper. My room was perfect. I had a cozy corner room with a king bed. Like most people, I’m particular about beds and pillows. 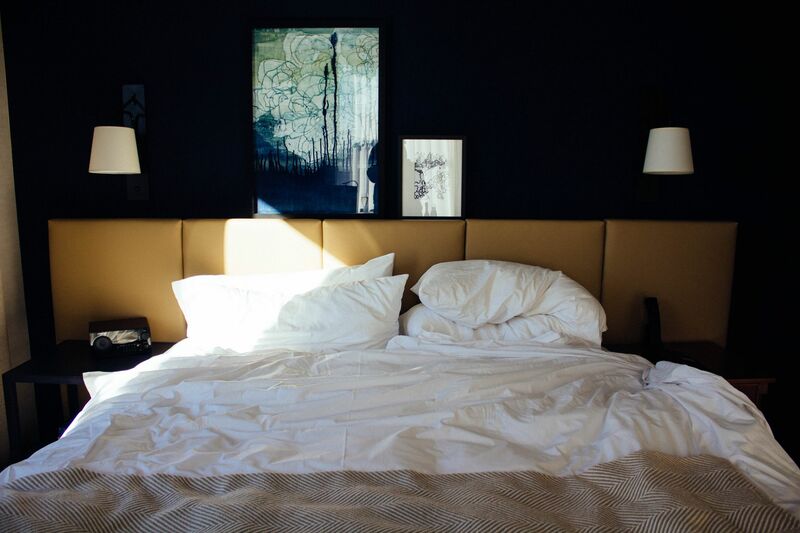 Well, don’t you worry your pretty little heads because THE BEDS ARE SO COMFORTABLE. It might even be more comfortable than my own bed, and I love my bed. Same goes for the pillows. UGH, SO COMF. 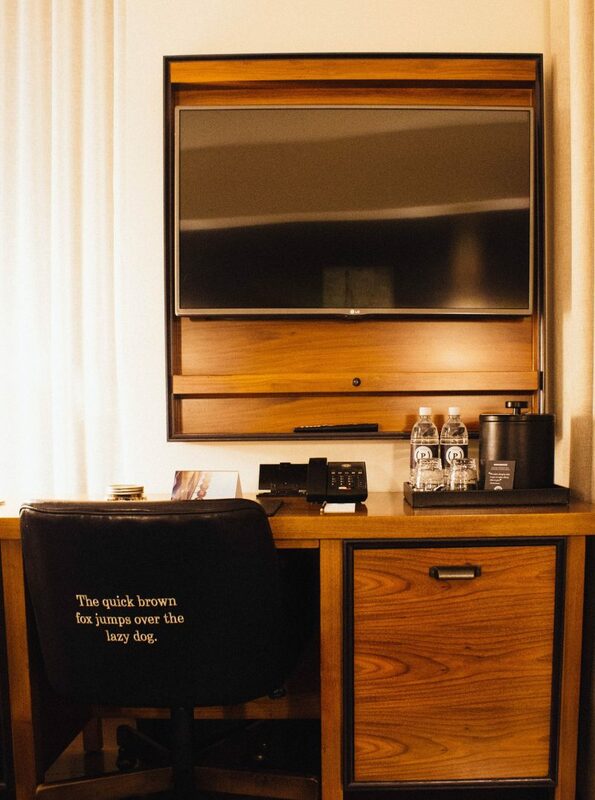 Even the bedside table is great. A clock, room for water and your phone, and a safe. The safe in the bottom drawer is particularly genius. Prepare yourself for the bathroom because goals. For the record, the quote in the picture below is so true. Mainers really do think they can get a little more out of everything. 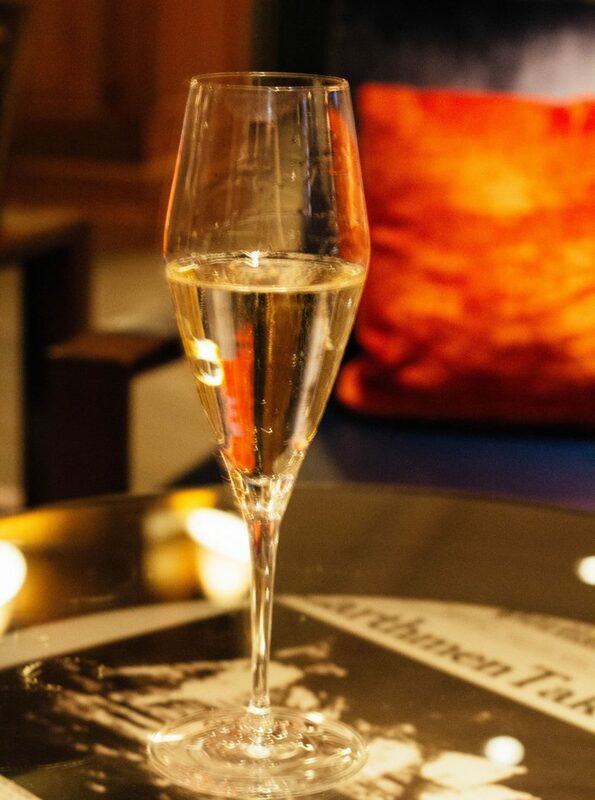 After I hang out in my room for a bit, I make my way down to the Inkwell bar in the lobby for a little sparkling wine before I head to dinner at UNION restaurant. 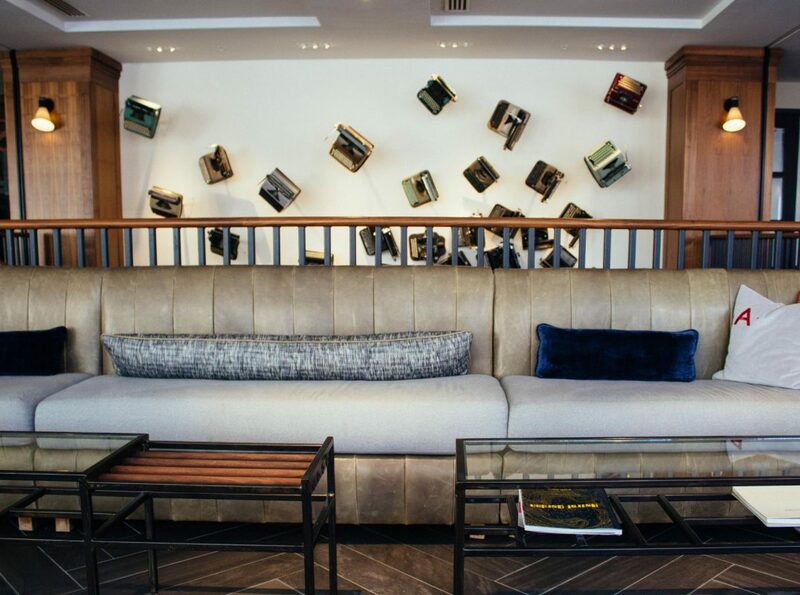 The lobby at The Press is one of those places where you just want to hang. Seriously, grab a drink at Inkwell and park yourself on one of the many couches. 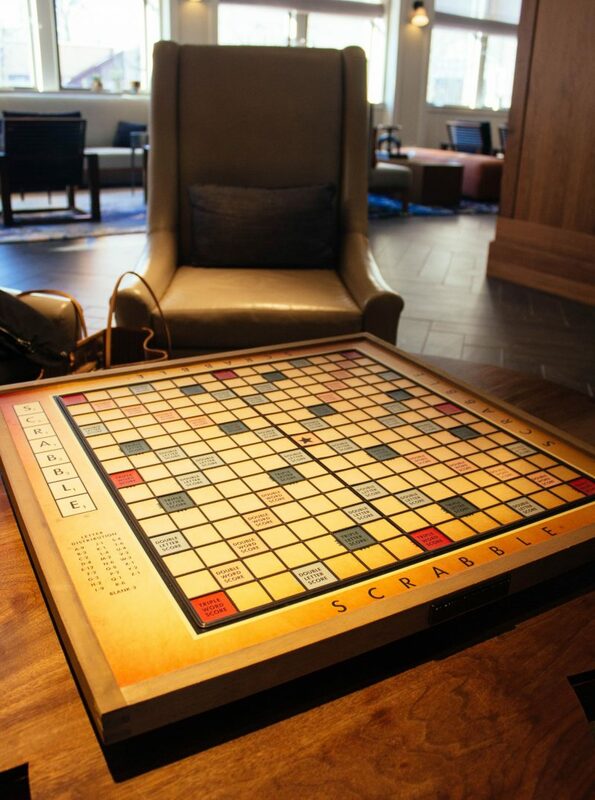 Or play a little Scrabble by the fire. After drinks at Inkwell and my dinner at UNION, I crashed hard. 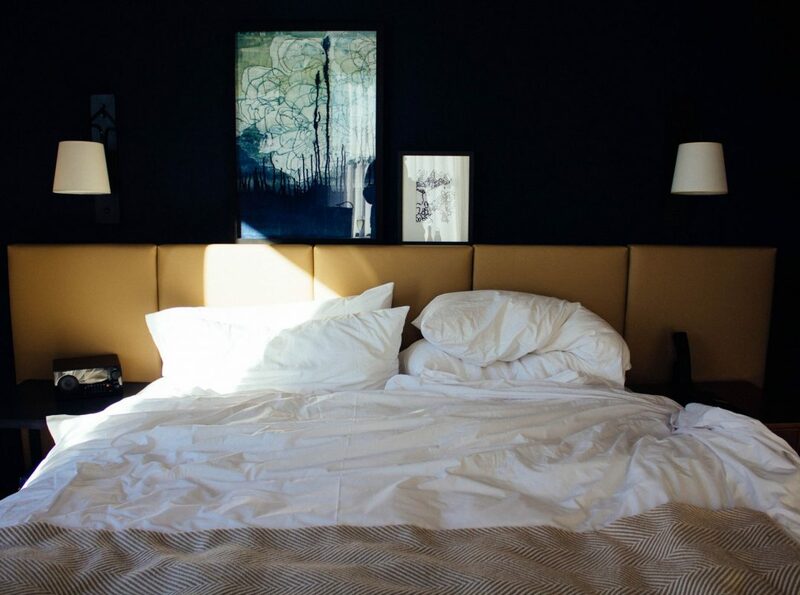 Because the comfy beds were calling my name. 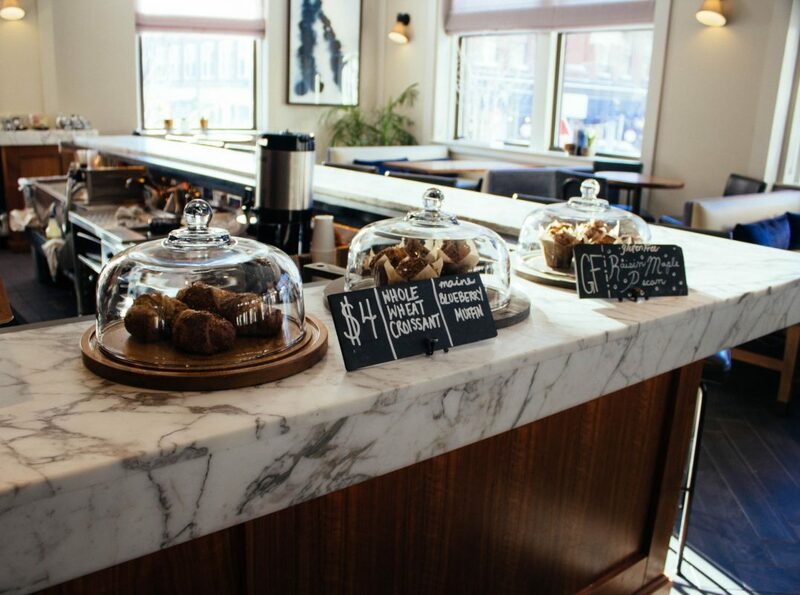 The Press turns Inkwell liquor bar into Inkwell coffee and pastry bar. I’m into big breakfasts so I hold out for brunch at UNION but after a proper dose of caffeine, I snoop around the lobby a bit more. There’s just one last thing I need to do… Say “thank you”. 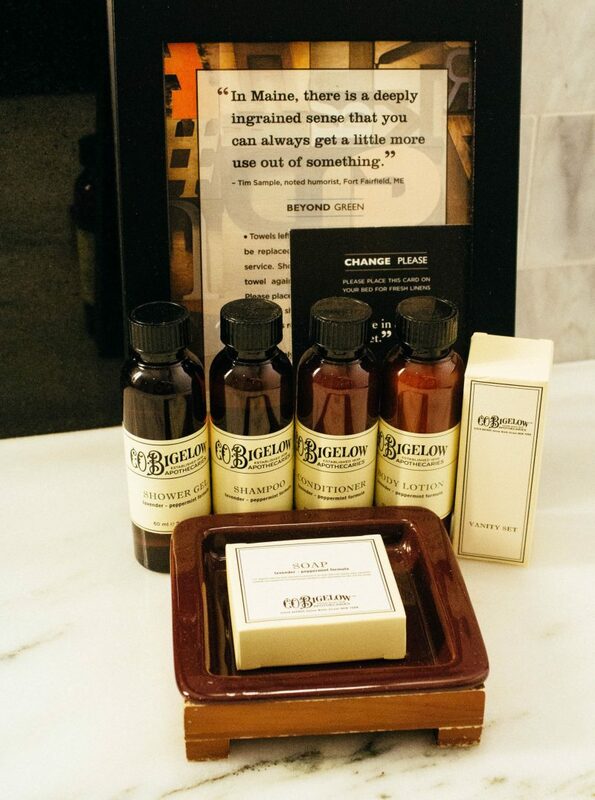 A million thank yous to The Press Hotel in Portland, Maine for generously hosting me! 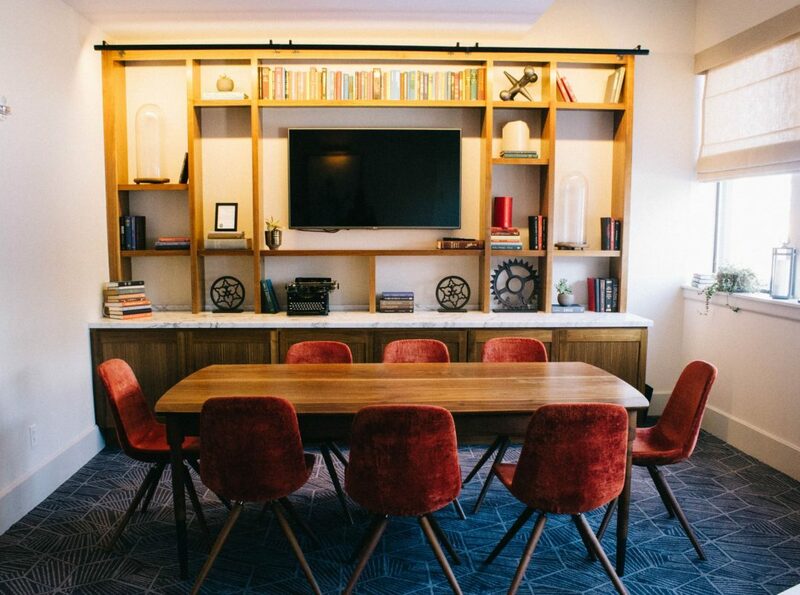 If you’re interested in staying at The Press Hotel, visit their website at www.thepresshotel.com. All opinions and images are my own. Thank you so much! I have a new appreciation for typewriters after staying here. xo. Sounds so warm and welcoming. I want to stacation here?? 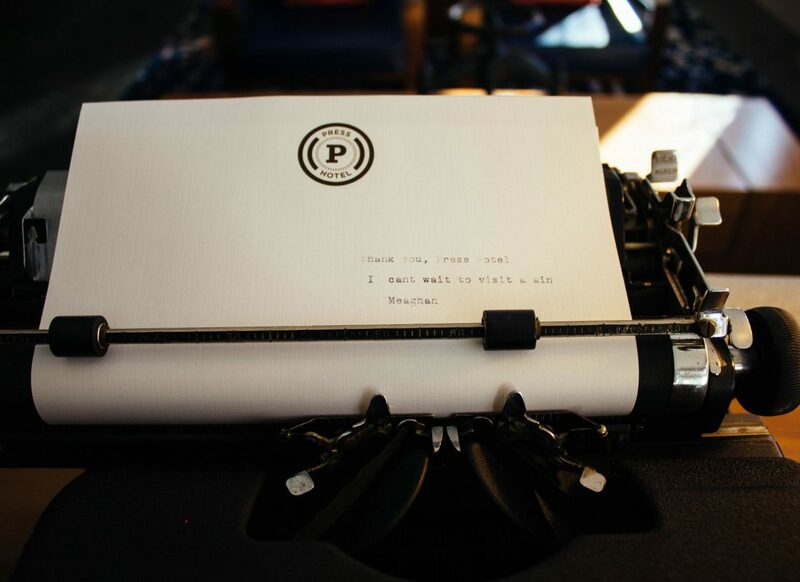 I promise you’ll have a nice staycation at The Press! Oh my! This place is heavenly! I am creating a travel pinterest board now and making this a priority. I would LOVE to sit at the Inkwell bar for coffee or cocktails and the decor is right up my ally. Love all the pretty pictures!! !